Hi loves! Sunday night already.. where does the weekend go?! It always goes by so fast :-(. I've been editing pictures all afternoon and also created my first ever galaxy nails. I think they came out quite nice! 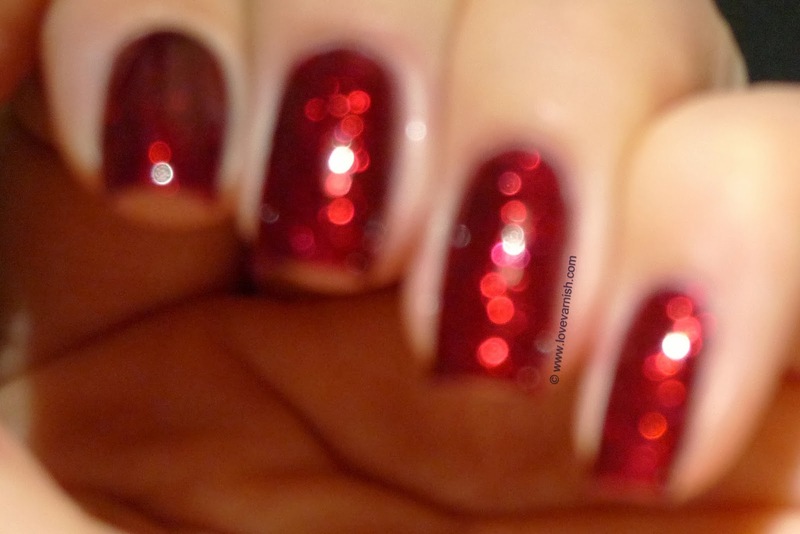 Today I have a very pretty polish for you, another Shimmer stunner! 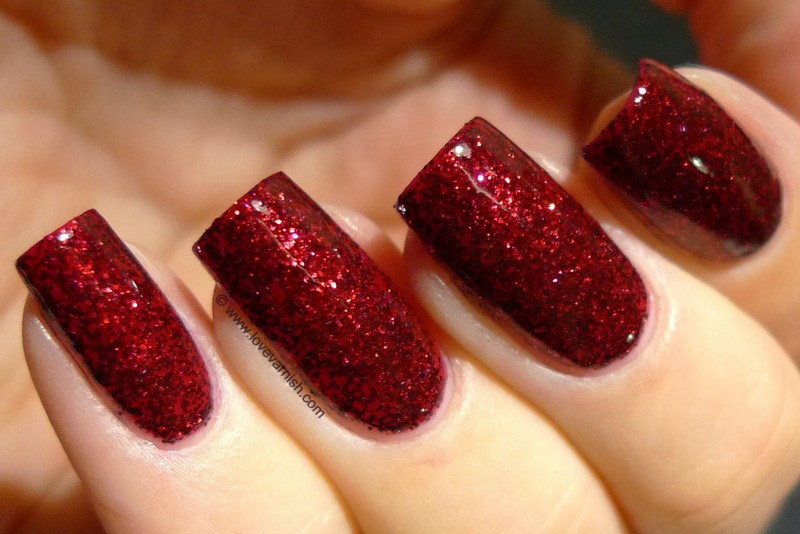 This is called Marilyn and it's a red glitter. I absolutely LOVED how this looked on me and will be very appropriate for Christmas and such. This is a burgundy glitter and the base is tinted, so it build up easier. I used 3 coats for opacity. It applied okay, it is a very packed glitter so you have to be careful you don't get thick nails. That's why I did a very thin first coat with barely any glitter but just to get the basecolor down. Then build it up with 2 normal coats and you have an amazing result. The depth in this is beautiful! Unfortunately it is a bit gritty.. I topped it with a coat of Gelous and a coat of Essence Better Than Gel Top Sealer (an older bottle so it wasn't as thin anymore). The next morning it was a bit bumpy again. 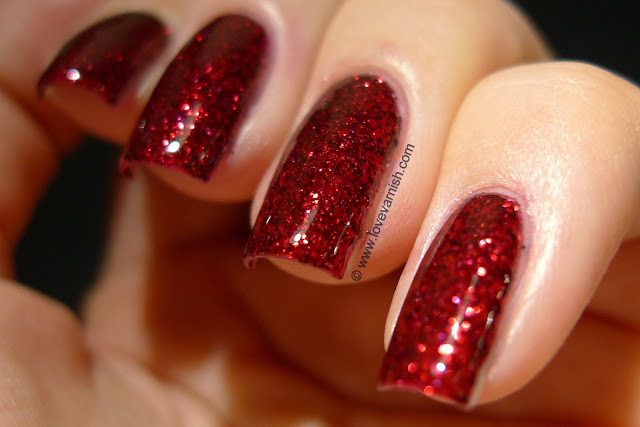 What do you think of this gorgeous vampy glitter? And what is your favorite topcoat to tame those hungry glitters? Shimmer Polish can be found on Etsy, they are sold for $12. Cindy ships international. You can also find Shimmer on Facebook. Oh wow this is beautiful! 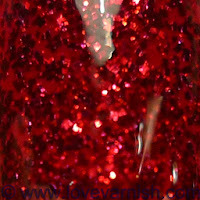 I agree that it's perfect for Christmas, especially with that glitter, it fits right in. And then for Valentine's Day, and Canada Day, and for just about anything, lol! This one is definitely going on my Shimmer wishlist! Gorgeous! Anyway, lovely nail polish, it looks awesome on your long nails! Thanks Gwen! Haha yeah they are just too pretty. Hahaha and romantic dates, and when you just need something to stare at, and and... you can always wear this beauty ♥. It's a must have! Thanks Angie :). Haha I can't wait either, it's my birthday December 25th so yay ^^. Thanks dear :). You definitely could, it is amazing ♥. Thanks for creating the beauty!